Is Death owned by Big Business? 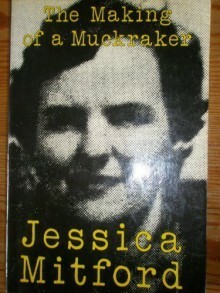 Making of Muckraker has almost exactly the same contents as [b:Poison Penmanship: The Gentle Art of Muckraking|7932625|Poison Penmanship The Gentle Art of Muckraking|Jessica Mitford|https://d202m5krfqbpi5.cloudfront.net/books/1320519474s/7932625.jpg|513406] except for a short Vogue piece contained in this edition. It's worth it to read as a Jessica Mitford completist, but Poison Penmanship is easier to find than Making of a Muckraker. 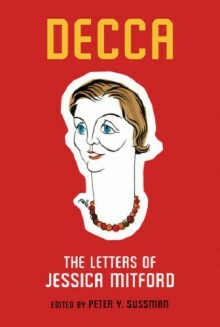 Introductory and afterword material is different, but one version is sufficient to start off with baring any particular enthusiasm for Jessica Mitford. Very informative, very funny. I do wonder if blowing the lid off of expensive funeral arrangements and overpriced correspondence courses is the height of high-wire muckraking, but time will tell. Strange that an expert in preparation for death had so little interest in ancient Egyptian culture. Ms. Mitford is almost the quintessential success story, with no formal education at all, including primary school. She started writing and publishing in her forties and lays out the book as if it were an instructional manual. It appears that her journalistic output was far more serious in subsequent books. That said, however, the book certainly is food for thought. 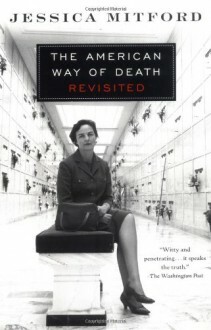 The author digs into the funeral profession, why it costs so much to die, and how to die without leaving your descendents with a load of debt from the funeral. Luckily there are more updated volumes about this topic, and I'd recommend reading those, but this is what started it all.